here I am installing two versions of Glassfish, Sun’s J2EE application server. 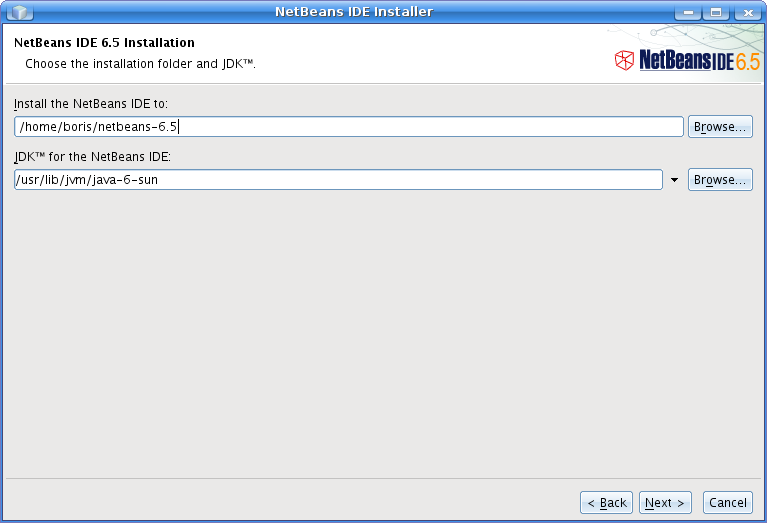 In second step we need to specify directory where we wish to install NetBeans and which JDK it will use. 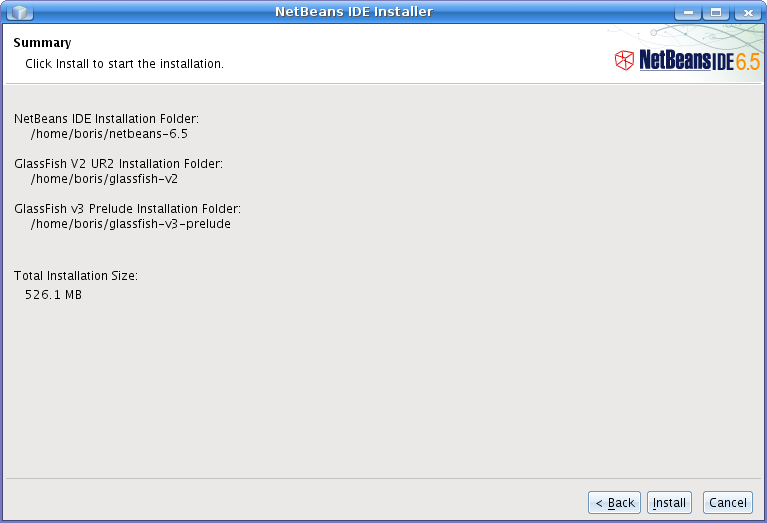 I installed NetBeans to my home folder and not to Ubuntu default location. For JDK I have specified java-6-sun which is a link to currently installed Sun JDK 6, so it will not become invalid after upgrading JDK. In next step we specify installation folder for Glassfish v2 and which JDK it uses. We need to suply username and password for the admin user, too. 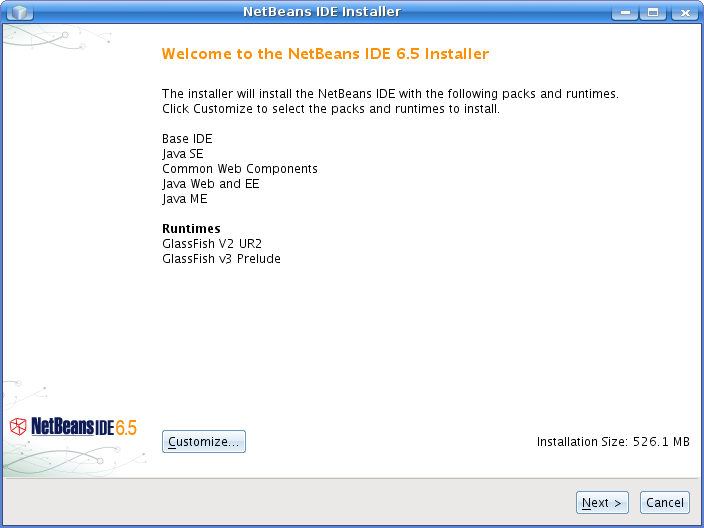 We have successfully installed NetBeans 6.5. 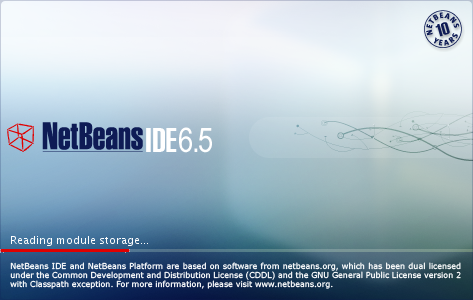 If there was previous NetBeans installation we will be offered the opportunity to import existing settings and projects. 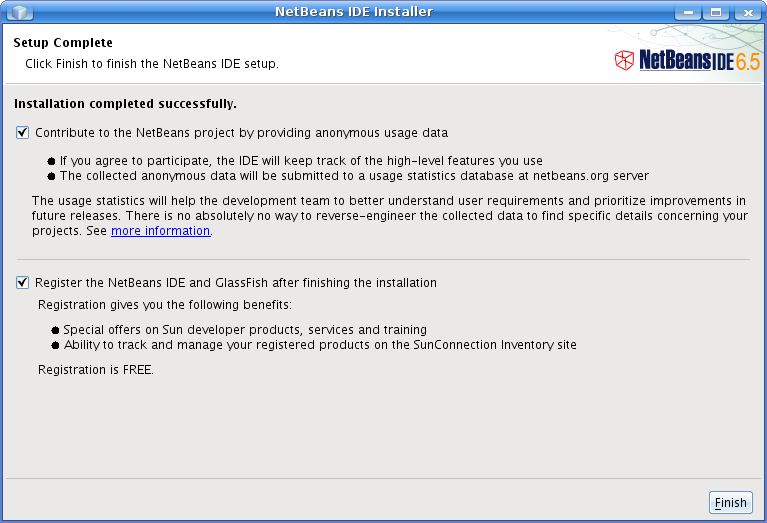 In my case, project import from previosly installed NetBeans 6.1 was successfull. 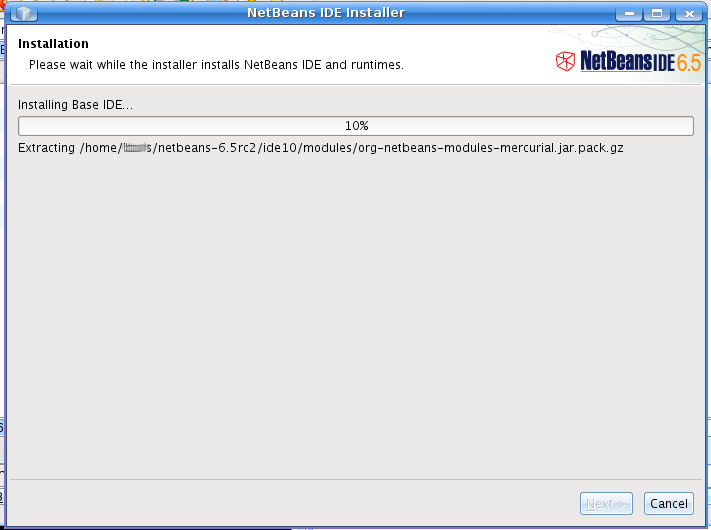 Now you’re ready to start using latest version of NetBeans. I would like to hear back from you – did you find tutorial useful? Is something missing? 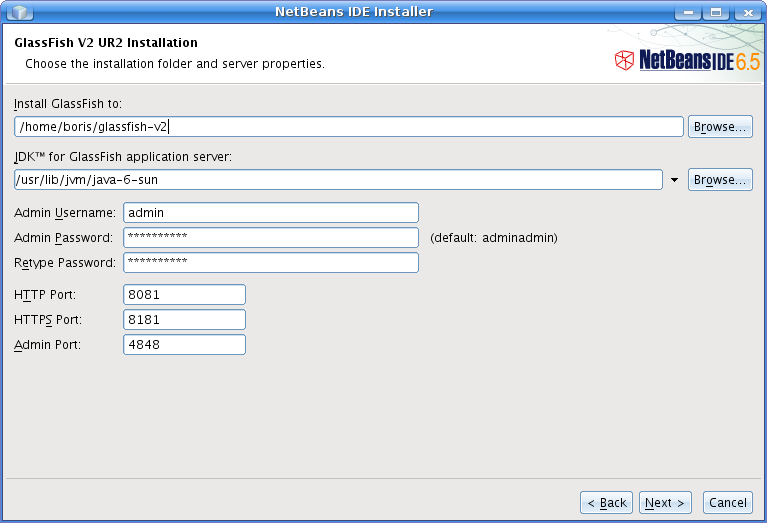 What do you use Netbeans for? Did upgrade from older NetBeans worked well? This entry was posted in netbeans and tagged java, linux, netbeans, ubuntu. Bookmark the permalink. 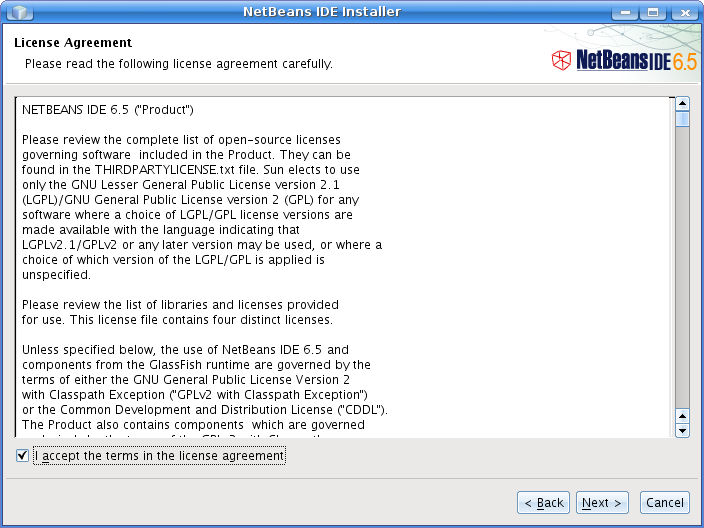 lo que ocurre es que no haces actualizacion de NetBeans de la version 6.1 a la 6.5. Las dos versiones guardan su configuracion en distintas carpetas: HOME/.netbeans/[NUMERO DE VERSION]. Cuando terminas instalacion, NetBeans va a ofrir posibilidad de importar configuracion de la version anterior. En mi caso, datos de proyectos, bases de datos y servidores eran importadas sin problemas. Este proceso no cambia configuracion de la version 6.1, asi que pedes usar ambas en mismo tiempo sin problemas. como siempre, debes hacer un backup antes de proceder con la instalacion. (+x rather than + x) and for some reason that did it. Otherwise, this is a very well put together tutorial. thank you for correction. I have fixed the typo in both English and Spanish versions of article. Thank you very much. This helped alot. I am expecting more features from you like spring,hibernate,ejb etc. Once again Thank you very much.